I have been walking around Melksham this weekend asking people to hug each other and have their picture taken ... why? * Melksham Needs Portable Defibrillators to help save lives. * I am taking pictures of pairs of people hugging to say "Melksham has a heart"
Melksham is 3rd from worst of 20 Wiltshire areas for heart attacks / strokes, and every minute delay without treatment / defibrillation lessens your chance of survival by 14%. Many communities have portable defibrillators with trained people nearby to use them and they save lives. But Melksham does not. And it's a long way to the RUH in Bath ... no wonder we're third from worst. We should have portable defibrillators - and people trained to use them - at key point. Outside the Assembly Hall for starters, and perhaps 6 more spread elsewhere. They cost £1500.00 each, need secure locked cases and maintainance but they would SAVE LIVES. Mel from the Assembly Hall is leading this one ... holding at event on Sunday, 20th November at the hall with lots of stalls. 10% of all takings to the cause. Plus raffle, a modest admission charge and she should be well on her way to the first machine. There are other sources of funding that may be tapped into, but those are often match funding - so for each pound Mel raises, she may be able to get a pound elsewhere. Lisa is putting together a montage - a whole lot of small pictures - of Melksham people hugging each other and saying "Melksham has a Heart". And so I've been walking around with my camera asking people to hug for Melksham. The final picture will be on show on 20th and we want YOU to come along and see if you can spot yourself. And we've still got room for more picture too. 1. If you have not yet had your picture taken hugging someone, please pop in to Well House Manor on Spa Road, any day this week (that's up to Sunday, 13th November). One of the team will be happy to take your picture for Lisa to include on the montage. 2. 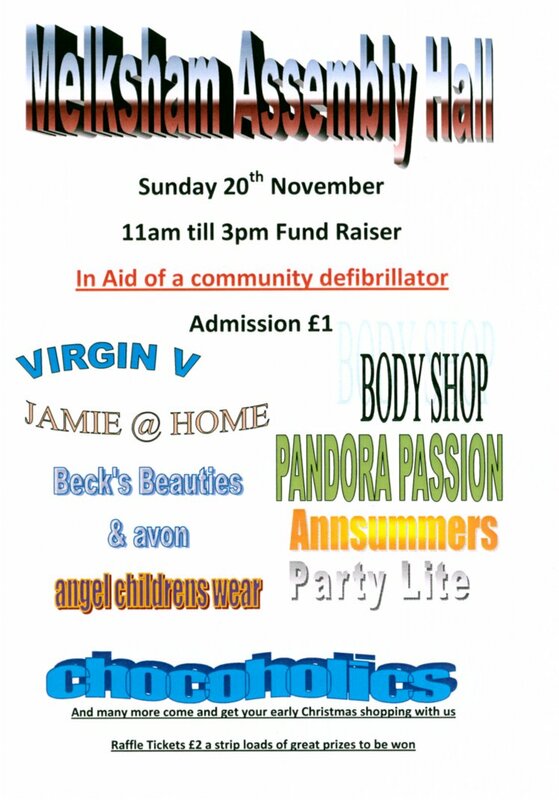 Come along on 20th November ... that's a Sunday ... from 11 a.m. to 3 p.m.; I was having a chat with Mel earlier and understand there are some two dozen stalls booked already. We will have a limited number of prints of the montage for sale, and in this case ALL of the profits will go to the campaign. 3. If you have friends or relatives coming to visit you in Melksham over Christmas or winter weekend, but you're a bit tight for space, have them stay with us as Well House Manor. For stays of 2 or more nights, we're offering double rooms which are usually £95.00 for our lowest delegate rate of £72.00 ... and we'll donate 10% of that to the appeal. Please quote "heart" when booking. See the British Heart Foundation's website [here]. We have 65 different hug pictures ... can we make it 100?